Julie and Adam were presented with a framed certificate on the Pets at Glee Seminar stage to proudly display in-store, as well as winning a fun, interactive family event at the garden centre, where customers can learn about birds and wildlife and how to be more conservation-friendly in their own garden. To see the full schedule please visit https://www.gleebirmingham.com/seminar-programme/pets-at-glee Please note all times/ details subject to change. 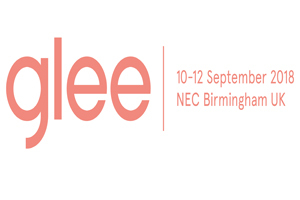 Glee is the UK’s leading garden retail show, focussing on building year-round profits for buyers and suppliers within the core gardening and outdoor leisure product categories. To keep up-to-date on the latest Glee news visit www.gleebirmingham.com. The Glee Buyers Power List has been set-up to recognise the individual buyers and buying teams who have gone above and beyond to make a difference within the garden retail industry this year. Voting has been open since early summer, with nominations flooding in from all corners of the market. Now, details of those shortlisted have been confirmed.